Saw palmetto is the common name of tropical palm tree scientifically known as Serenoa repens. 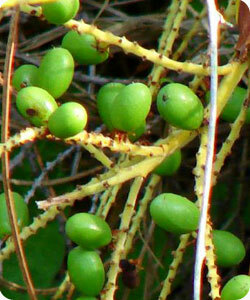 Native to North America, this plant has been used for many centuries to treat a wide range of health conditions in men. The Native Americans traditionally used saw palmetto to remedy reproductive and urinary track disorders, as well as a topical cleanser to safeguard against germs. In the United States, medicinal uses for this plant were first officially documented in 1879.  Since then it has been subject of intense research both in America and Europe where it is also now widely utilized. 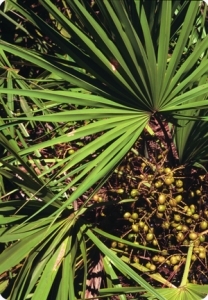 Today, saw palmetto is incorporated into a variety of healthcare supplements for men to support optimal health. More specifically, saw palmetto has been recognized as being beneficial for the treatment of benign prostate hyperplasia (BPH), erectile dysfunction, mood disorders, low testosterone levels and androgenic alopecia (male patterned baldness). How Does Saw Palmetto Affect The Body? 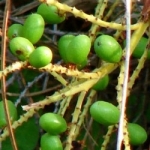 Extracts from the berries of saw palmetto have extensively studied and are shown to inhibit the production of an enzyme called 5-alpha reductase. This is the enzyme responsible for the conversion of testosterone into dihydrotestosterone (DHT). Although DHT is an important androgen for male development, excessive concentrations of DHT in older men can lead to a range of health issues. The synthesis of 5-alpha reductase occurs primarily in the adrenal glands, prostrate, testes and hair follicles. These testosterone conversion sites are then subjected to a high level of DHT, resulting in problems such as excessive hair loss, prostate enlargement and lack of libido. Consequently, by limiting and slowing down the production of 5-alpha reductase, saw palmetto can help to reduce the negative effects of excessive DHT in older men. One of the leading causes of hair loss in men as they get older is androgenic alopecia. This is caused by a combination of hormones and genetics. When DHT is in excess it can bind to receptors on the hair follicles. This causes the follicles to shrink and the hair to fall out. This doesn’t just interrupt the hair growth cycle, it prevents future hair growth. The higher the DHT concentration, the more accelerated the potential hair loss. By regularly taking a supplement with saw palmetto, it’s possible to slow down the progression of androgenic alopecia. There is an association between enlarged prostate and high DHT concentrations. Although there is still a lot of research investigating this relationship, it’s believed that elevated DHT and lower than normal estrogens can trigger prostate enlargement. A recent 2013 study found a positive association between saw palmetto supplementation and a reduction of the symptoms associated with benign prostate hyperplasia. Studies have also reported an improvement in libido and sexual function. Male sexual virility, muscle growth, weight management, emotional well-being, and strength are all linked to healthy testosterone levels. Since saw palmetto can suppress the conversion of testosterone to DHT, this plant extract is important for maintaining optimal testosterone levels. Clearly saw palmetto has important health benefits for men. For this reason, EverSun Health’s Men’s Everyday Energy Multivitamin contains 160mg of saw palmetto. Taken daily as directed, this supplement can help to help DHT levels in check and support healthy testosterone concentrations.